The naturally touristic destination of Bali is lining up several high-end hospitality projects to further enhance its destination appeal in the international tourism market. Headlining this activity is the opening of a much-awaited beach resort COMO Echo Beach on the south-east coast of Bali in February, 2018. TTN has been informed, COMO Echo Beach is COMO’s third property in Bali, located in Canggu, a popular surfing destination. 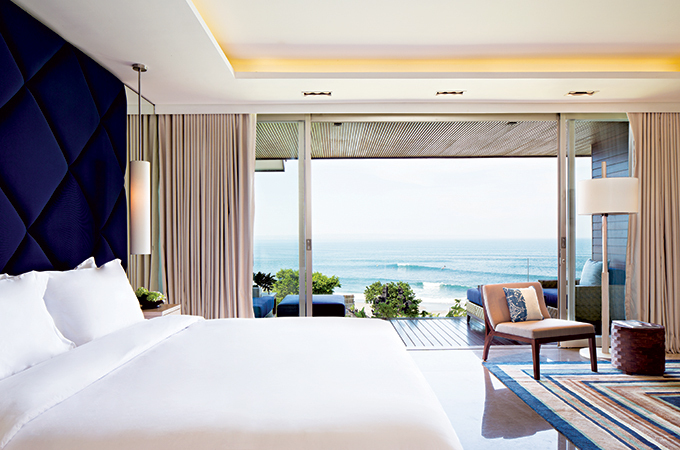 The property will feature a chic beach club and COMO Shambhala Retreat spa. Boasting 119 accommodation spaces (including rooms, suites, one- and two-bedroom residences, as well as three-bedroom duplex penthouses featuring individual rooftop pools), COMO Echo Beach is located on 2.2 acres of land in Canggu, a coastal village and six-mile long beach lapped by the Indian Ocean with some of Bali’s best surf breaks. Singapore-based designer Ikebuchi, who is renowned for his sensitive approach to nature and cultural authenticity, has given an international touch adding spectacular modern Asian and Italian themes to the resort. Those seeking wellness will be catered for at the new COMO Shambhala Retreat, with seven treatments rooms (five single and two double). As well as Asian-inspired therapies – including signature COMO Shambhala Massage, deep tissue massage, among others – there will also be yoga and Pilates classes available twice a day, and personal training in the gym. A major aspect of COMO Echo Beach is the spectacular surfing opportunities. The resort presents luxury surfing in partnership with Tropicsurf ensuring the leisure activity is appealing to beginners and also those with experience. Veteran surfers will be satisfied with the large rides found to the right of COMO Echo Beach, while novices can learn the foundations under an expert eye on calmer waves. Away from the waves, COMO Echo Beach can organise walking tours, golf excursions, and adventures into the heart of Bali accompanied by English-speaking guides.